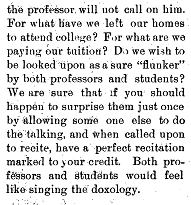 Recent readings in old IWU student publications are yielding time-tested advice. It is difficult when you’re caught up in the hurried days of deadlines and commitments to think of the broader implications of college on an educated person’s development. Take a look at some of these ideas and see if there’s an intersection with your 21st century life. 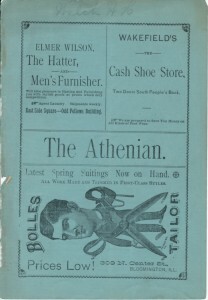 Cover page of this Athenian issue. 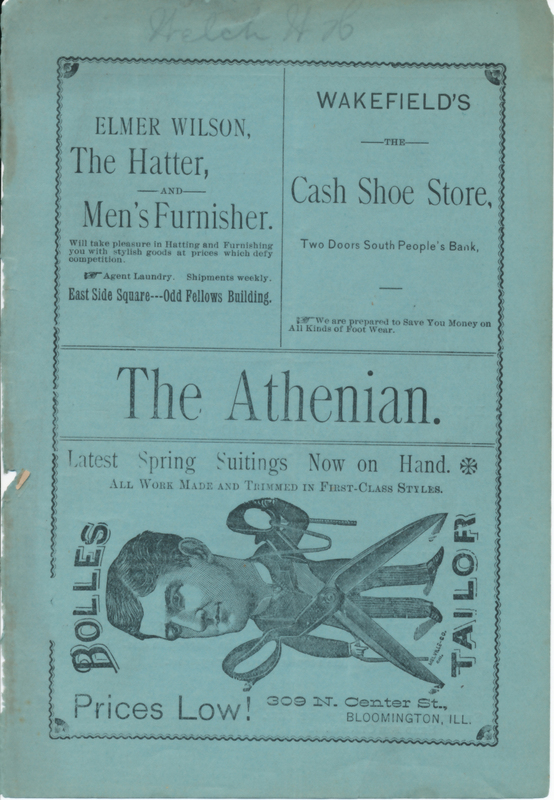 This entry was posted in Faculty, Students and tagged Archives, newspapers, primary sources by Meg Miner. Bookmark the permalink.